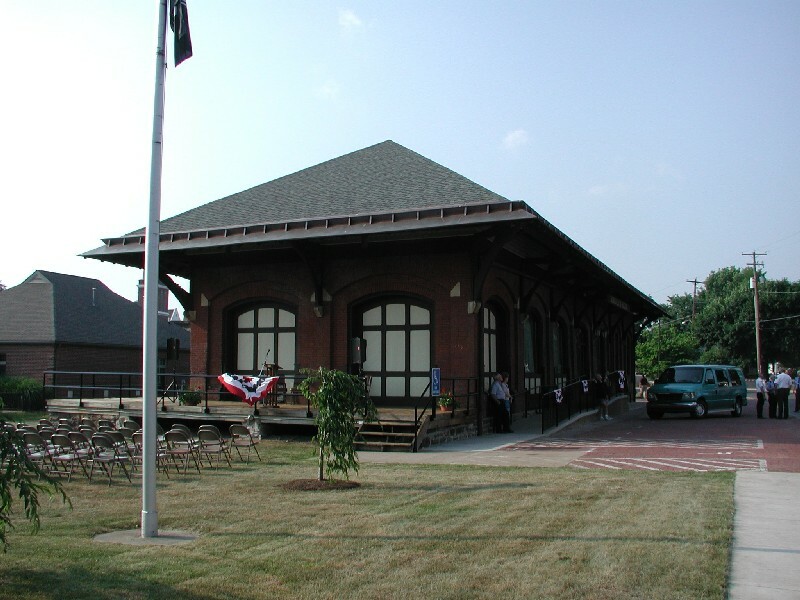 Railroad stations are an easily identified building type accross the state since Pennsylvania was well served by a complicated linkage of rail lines connecting large cities and small towns within the state and beyond. 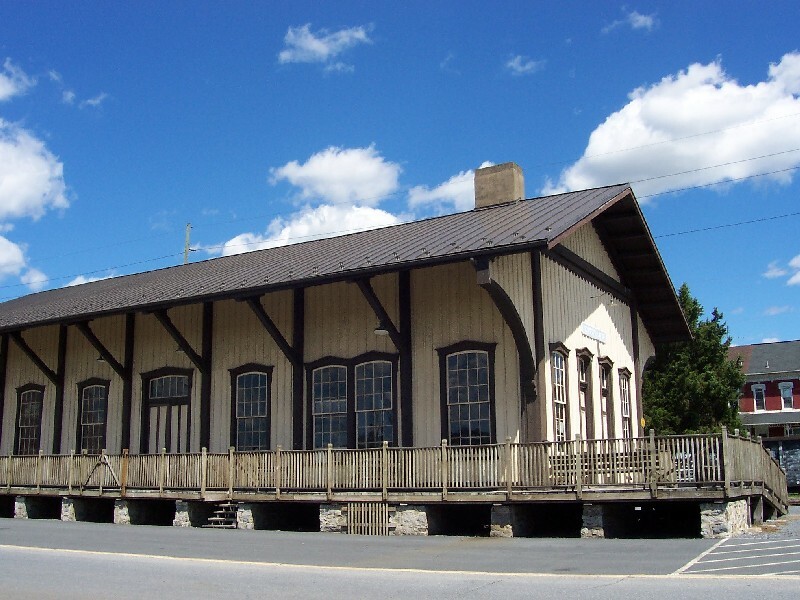 While railroad passenger stations in large cities may have been designed in elaborate formal architectural styles, most passenger stations followed a more simple form with wide overhanging eaves upheld by over sized wooden braces. 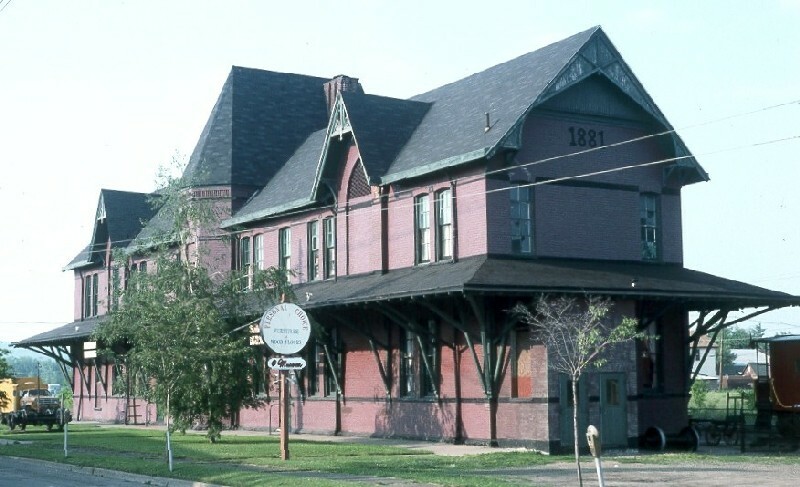 Usually of red brick and sometimes featuring Italianate details such as segmentally arched windows, these buildings reflect both their purpose and their construction period in the second half of the 19th century. Railroad freight stations often took similar form, but were usually less detailed and more utilitarian in design. 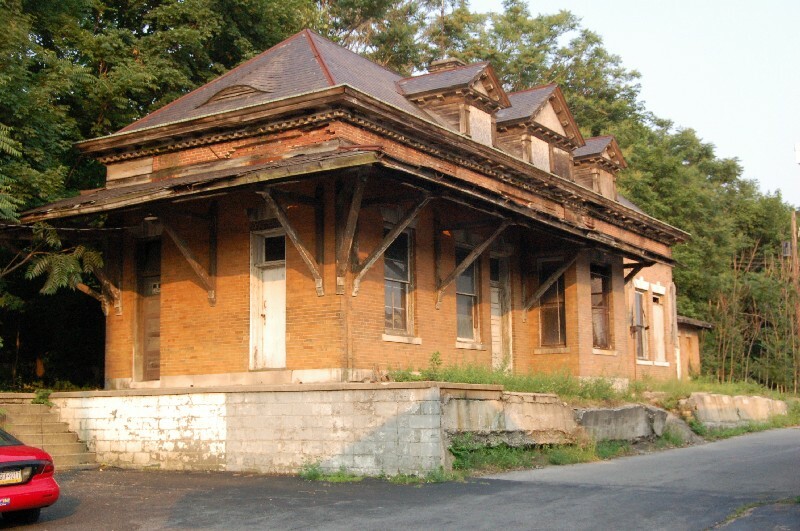 Pennsylvania is home to many important railroad centers where rail cars were built and repaired and other key functions undertaken. Those centers often included a roundhouse for the turning of rail cars, mechanics' shops, freight warehouses and coal storage buildings. 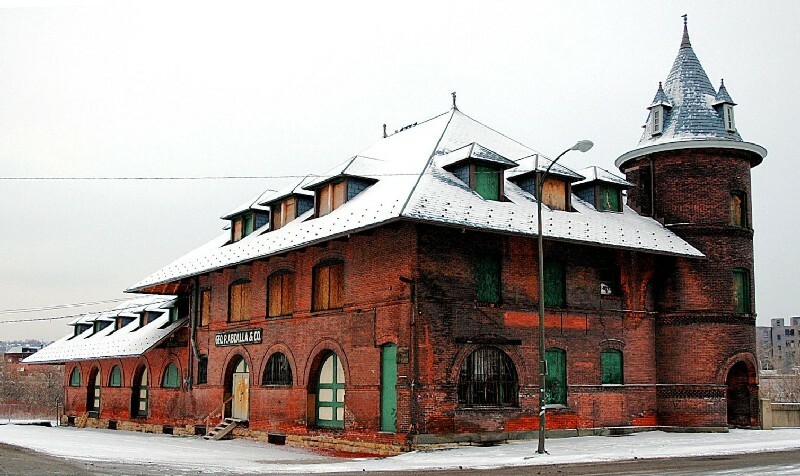 As railroads declined in the mid 20th century most of those functional buildings have disappeared, but many passenger and freight stations remain.